Explore the entire 2017 Indian Motorcycle lineup at the Indian Motorcycle display in Downtown Sturgis along with demos of our newest technologies. A Chieftain Dark Horse Dyno Demonstration will showcase cams and other performance accessories. Following the recent historic announcement of Indian Motorcycle Racing’s historic return to AMA Pro Flat Track, the all-new Indian FTR750 will be on display Monday, August 8 through the remainder of the rally. Famed original wrecking crew legends Bobby Hill and Bill Tuman will be on-hand, along with all three Big Base Scouts and memorabilia from the original wrecking crew. 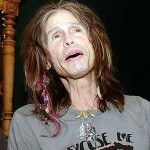 Stay tuned for appearance schedule and activations. A number of vintage and custom bikes will be on display, including the Land Speed Scout , Hillclimb Indian Scout andSuperHooligan Indian® Scout® Sixty racers built by custom motorcycle designer Roland Sands. Join the Indian Motorcycle demo team and test ride the latest models fresh from the Spirit Lake, Iowa plant. New 2017 motorcycles will be ready to demo ride all week long representing every variation and color, including some fully accessorized models. Demo ride availability is on a first-come, first-served basis. Shuttles to demo rides will be available at Lazelle Street and Indian Motorcycle of Sturgis. Rides will head out daily starting at 9:15 a.m. with the last ride leaving at 4:30 p.m. Riders must be 18 years of age and must provide proof of endorsement along with a helmet and appropriate riding attire. Passengers with protective gear are welcome to ride with no endorsement needed. New for 2016, Indian is bringing demos rides direct to rally guests. Keep an eye out for the branded Indian Motorcycle truck for a pop-up demo experience throughout the duration of the rally. Join Indian Motorcycle, partners Jack Daniel’s and Red Wing Shoes in the Indian Motorcycle display area to celebrate the true spirit of American Craftsmanship. Throughout the rally, visit partner Jack Daniel’s for signature cocktails and comfortable seating. Custom engraved barrel tops will also be available for purchase. Red Wing Shoes will showcase the new Limited-Edition Red Wing Shoes®Collection for Indian Motorcycle; an exclusive line of handcrafted American motorcycle boots available for women and men in three distinct styles. A custom Indian Scout inspired by Red Wing Shoes and incorporating Red Wing Leather built by Brian Klock, Klock Werkswill also be on display. Join us as we gather for the second straight year to welcome the riders of the Veterans Charity Ride to Sturgis, sponsored by Indian Motorcycle, as they conclude their nine-day journey on Indian motorcycles and Champion trikes and sidecars while riding from Los Angeles to the Sturgis Motorcycle Rally. These brave men and women from all branches of the military will arrive to a warm and patriotic welcome at the Indian Motorcycle display on Lazelle Street. Supporters will receive a complimentary American flag. 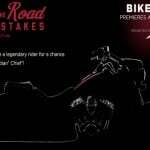 Indian Motorcycle will make history as Indian Motorcycle Racing unveils the all-new Indian FTR750, a purpose-built flat track bike sporting a proprietary liquid-cooled 750cc four-valve V-Twin competition engine engineered into a specially built chassis. This historic and awe-inspiring new race bike will be on display at the Indian Motorcycle Lazelle Street location and at Sturgis Speedway throughout the remainder of the rally. The motorcycle will be revealed to industry VIP and media during the Buffalo Chip Industry Party earlier in the evening. 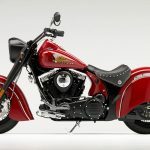 Indian Motorcycle will join the 9th Annual Legends Ride with the biggest names in television, film, music and motorcycling to raise funds for local charities. The Legends Ride kicks off the rally with a live custom motorcycle auction on Deadwood’s historic Main Street. Following the auction, riders will enjoy a self-guided, scenic ride alongside hundreds of fellow Legends Riders through the beautiful Black Hills. All riders will reconvene at the special riders-only reception, complete with complimentary food, drinks and a viewing of the world-class Motorcycles As Art™ exhibit. Those interested in joining the ride can purchase tickets at www.legendsride.com. Demo rides on the new 2017 Indian Motorcycle models will be available directly onsite. Sunday, August 7, at Indian Motorcycle Sturgis, 10 a.m.
Join us at Indian Motorcycle of Sturgis for the kick-off of Sturgis’ first annual Good Ride led by Carey Hart, freestyle motocross legend. This ride is one in a series of three V-Twin on-road charity motorcycle rides that benefit the local community, with additional legs starting in Laughlin, NV and Las Vegas. Proceeds from this ride will go to Sturgis’ Brown High School. Space is limited to the first 125 riders. Register today at www.goodriderally.com. A “Good Ride” after-party with Carey Hart will be held on Tuesday, August 9 at Full Throttle Saloon during the “Baddest Bagger Contest” for ride participants. Tuesday, August 9, at Full Throttle Saloon, 9 a.m. – 5 p.m.
Join fellow bagger enthusiasts including guest judge Carey Hart and other celebrity motorcyclists to explore the full customization potential of baggers, with many unique customs from across the country including the including the Azzkikr “Frontier 111” and many more custom Indians. 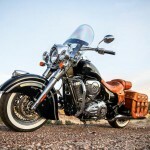 A 2017 Indian Chieftain will be awarded to the winner of the contest. All are invited on Thursday, August 11 to Indian Motorcycle of Sturgis for an after-party with contest winners, participants and their “baddest baggers” along with food, drink and music. Join fellow racing enthusiasts and music fans for a special Indian Motorcycle night at the Buffalo Chip. 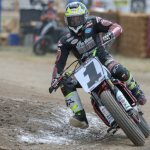 Indian Motorcycle and Roland Sands’ Super Hooligan Racing take over the Buffalo Chip turning it into a racetrack with SuperHooligan Indian® Scout® Sixty racers for an epic race with special guest racer Carey Hart. Veterans Charity Ride riders will take the stage to share highlights from their nine-day journey from Los Angeles to Sturgis. Following the excitement, national recording acts Reverend Horton Heat and 5 Finger Death Punch will take the main stage for the evening’s entertainment. Owners past, present and future are invited to join Indian Motorcycle for exclusive owner activities throughout Rally Week. On Sunday, August 7 owners are encouraged to meet at Spearfish Canyon Lodge at 9 a.m. and will ride to Deadwood at 10:30 a.m. where they will be the first to meet and cheer on the riders from the Veterans Charity Ride to Sturgis. After a delicious lunch at the Pasta Corral, riders, owners and former vets will lead the Veteran’s Charity Ride into Sturgis where all are encouraged to cheer and applaud the final leg of their epic journey. Owners can sign up here. On Friday, August 12 owners are invited to receive a complimentary “Rub & Buff” bike wash at Polaris Industries’ Spearfish Facility while meeting the local Indian Motorcycle employees. Owners can sign up here. Throughout Rally Week, owners will receive a commemorative official owner’s patch when they present their key FOB at Indian Motorcycle of Sturgis. Open 9 a.m. – 7 p.m. daily at 2130 Main St.
Visit the Indian Motorcycle of Sturgis dealership for all your Genuine Indian Motorcycle apparel and gifts. The first 40 people to purchase a new Indian Motorcycle during the rally will receive VIP/Top Shelf Lounge tickets. Complimentary shuttles from the dealer to demo rides will be available 9:00 a.m. – 4:00 p.m. The dealership is giving away limited edition prizes and will have commemorative 76thanniversary items for sale. 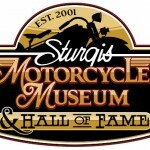 For more information, please visit: www.indianmotorcyclesturgis.com.